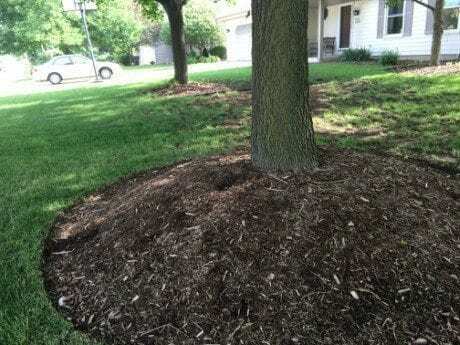 Before: Prior to the excavation, the soil and mulch were mounded up around the base of the tree. During: While using the air tool, the root collar is being exposed. 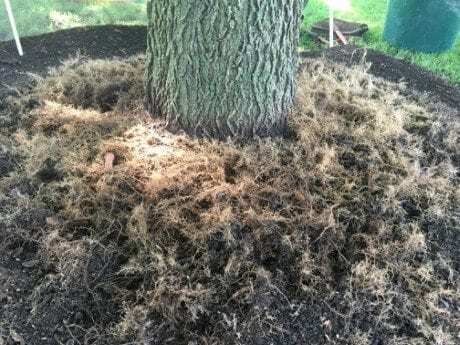 Fibrous Roots Exposed: Small, adventitious, fibrous roots grew in the excess soil and mulch around the tree. These roots need to be cleared away to provide space for the root flare to grow. After: After the excess soil, mulch and roots were taken away, the root flare is at the proper height. 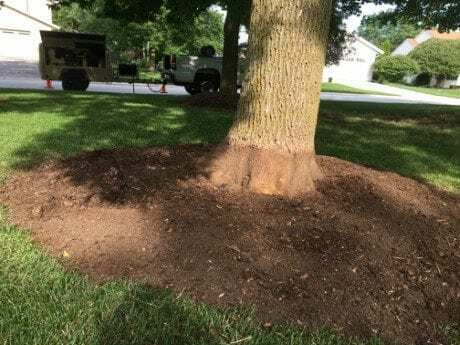 Excess soil and mulch around the trunk of a tree will cause unseen problems for individual trees. 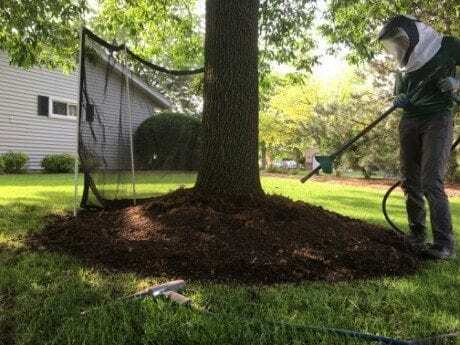 By using a compressed air system to move this excess material away, problematic roots were taken away in order to improve the health and longevity of the tree. These are just a few examples of the work our Certified Arborists have completed. We specialize in a variety of tree and plant care services. Connect with us to get your questions answered or to have an arborist come inspect your tree. 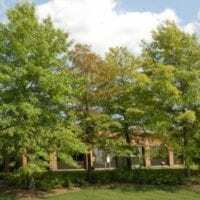 Chlorosis is a warning sign that a tree needs proper treatment to maintain its health.